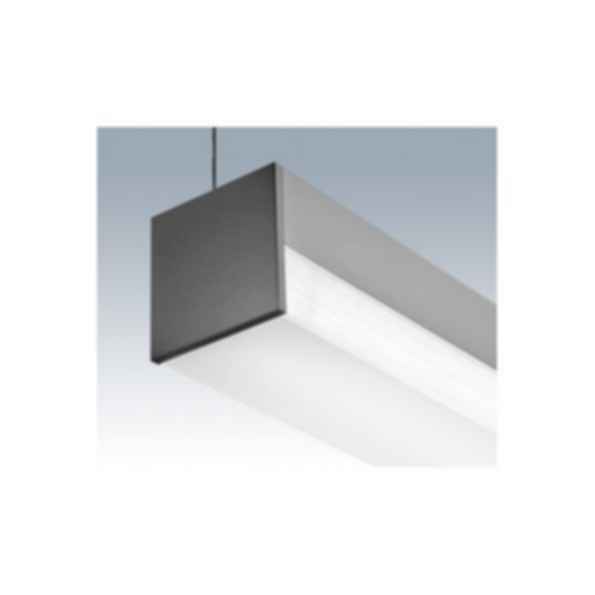 3.25" square profile linear fixture with precision-edged extruded acrylic lens. Lens snaps-in for exact fit, and effortless removal when changing out lamps. Available in 2', 3', 4', 6' and 8' nominal lengths. Continuous run available. Office, Residential, Corridors and Retail establishments. 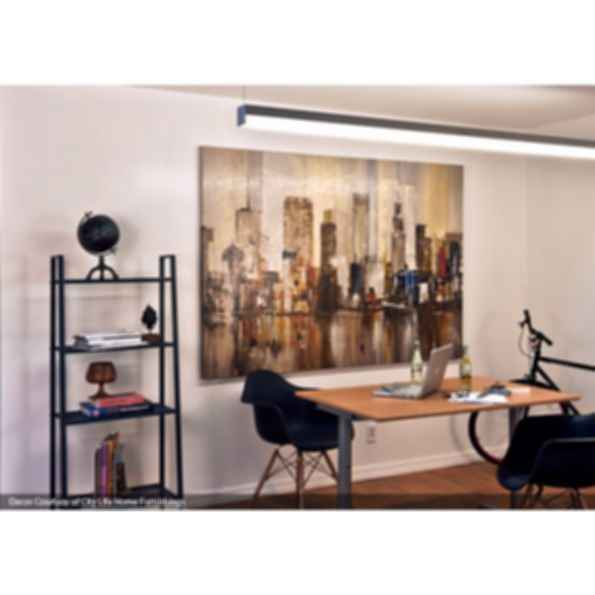 Adjustable aircraft cable suspension mount, wall or ceiling surface mount, multiple acrylic lens selections. Heavy gauge extruded anodized aluminum housing, 1/4" precision machined aluminum end caps, extruded acrylic lenses.